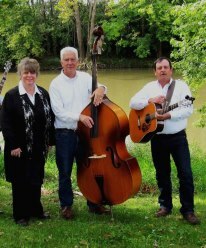 Clifton Opera House will host a bluegrass gospel show on Friday, March 1st featuring Leisa Hinkle and the Willow Creek band. The box office opens at 6:30, show starts at 7:30pm. After seven years appearing as the lead singer for Berachah Valley throughout Ohio, Indiana, Michigan, West Virginia, Tennessee, Kentucky, North Carolina, Renfro Valley, Wheeling Jamboree and the IBMA in Nashville, Leisa decided to venture out on her own with her own band, Willow Creek. Her style is similar to Rhonda Vincent or Allison Krauss, but is presented in her own “unique” way. The amazing talent and control of her vocals, with her accomplished piano ability, allows her to accompany herself or with her band Willow Creek. Whether it is on stage, a Church appearance, a private or corporate gathering, Benefit, Fair or Festival, her goal is to assure that everyone attending the event will enjoy their experience of seeing and hearing her love for sharing her music. Her touching Gospel music, upbeat Bluegrass, beautiful Ballads and knee tapping Country music make it almost impossible for her not to perform something for everyone’s liking at each and every show. Clifton Opera House is located at 5 So. Clay Street, Clifton. For more information please visit www.villageofclifton.com.